If you are in the process of buying a home, using quality information acquired from drones and thermal imaging scans can be paramount in learning the condition of the home. All inspections involving a residential real estate transaction are regulated by the Texas Real Estate Commission (TREC). By rule, these inspections are visual. Inspectors are not allowed to disassemble items for inspection. In order to be as thorough as possible, Texan Inspection Services, a Houston area home inspection company, uses their drone and thermal imaging technologies to provide homebuyers with valuable information about the home, that could otherwise be easily overlooked. Thermal cameras were originally developed by the military to see a spectrum of light (infrared) that our eyes cannot. Small temperature variations can be detected by an infrared camera. Since the different building materials within a home have different densities, the temperatures of these materials change at different rates. When the home inspectors at Texan Inspection Services are ready to perform an infrared scan on a home, they turn up the A/C or turn down the heat (depending on the season). As the temperature in the rooms change, all the materials within the walls and ceilings are changing temperature at different rates. The temperature variations allow the camera to “see inside the walls and ceilings” of the home similar to an MRI for the home. The most important issue that the camera can identify is moisture. Since moisture evaporates, it is always cooler than any other material. 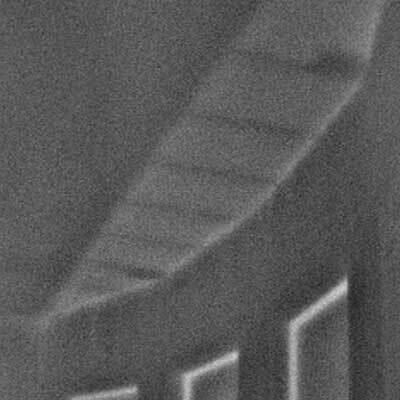 The camera is able to identify moisture within the walls and ceilings that is not visible to the naked eye. 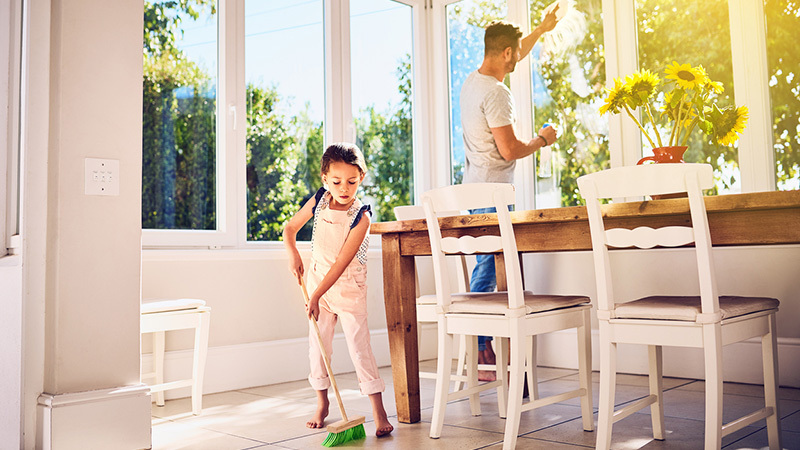 Missing insulation within the walls and ceilings can also be detected by the camera because the uninsulated areas of the home will be warmer or cooler (depending of the season) than the insulated areas. The thermal imaging camera can also detect electrical issues because, in most cases, a problem with a circuit will cause its associated breaker to heat up. We scan the electrical panel looking for breakers that are warmer than others. 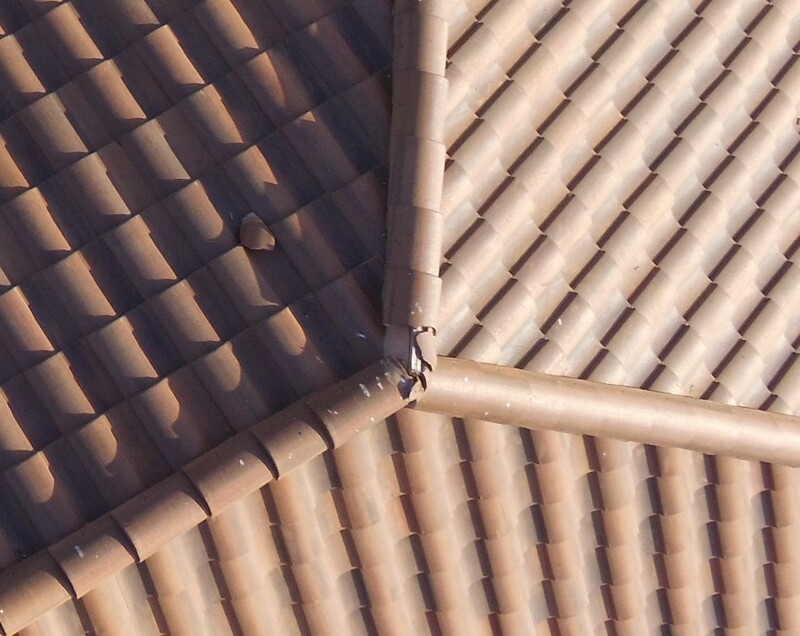 Weather conditions in the Houston area are harsh with extreme heat and moisture that make roof inspections a very important part of an overall home inspection. Drones have become a valuable tool for home inspections performed by the certified inspectors at Texan Inspection Services. 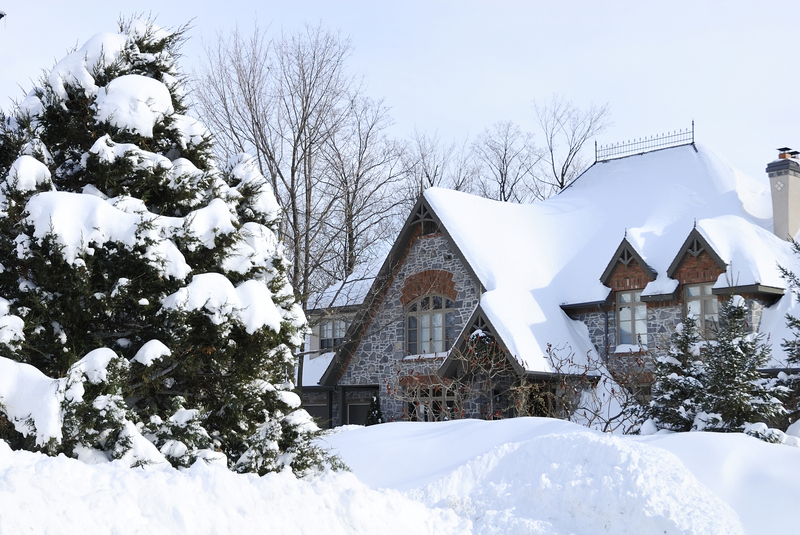 The roofs of many two-story homes are not accessible for an inspector because of the height, pitch or slope of the roof. Many times the only view of the roof that a home inspector can get is through binoculars. Drones can now be used to capture high resolution photos that are able to be enlarged to give the home inspector a much better view of the roof and its condition. 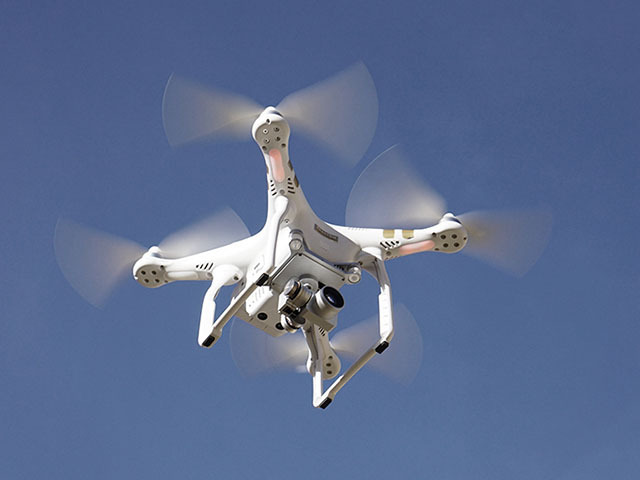 Texan Inspection utilizes drones for roof inspections when the home inspector cannot physically walk the roof and as the location (FAA regulated) and weather conditions allow. 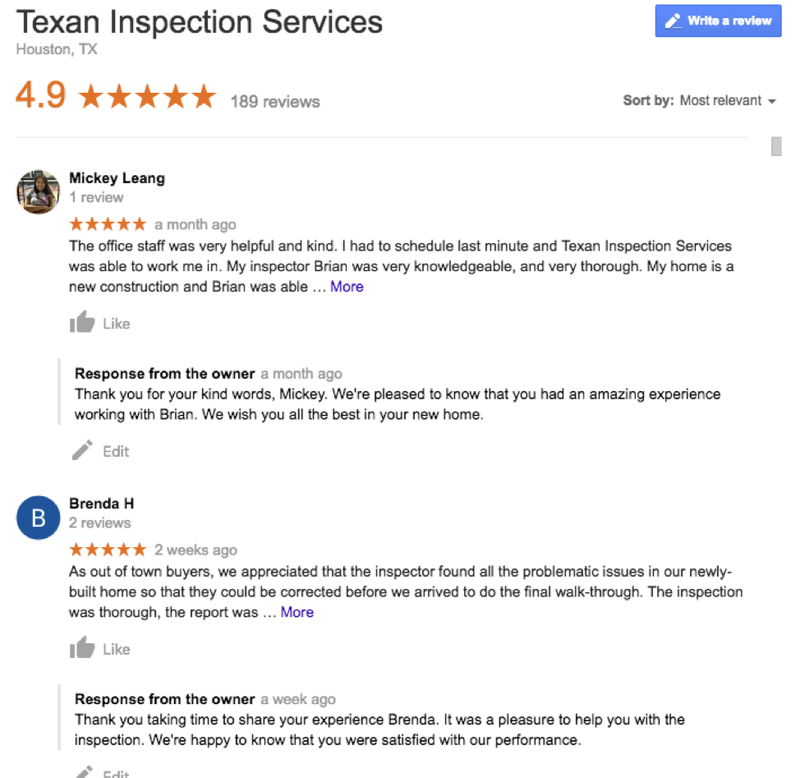 At Texan Inspection Services, we have worked hard to develop a home inspection program for the Houston area that incorporates both experienced, licensed and certified home inspectors, and the latest drone and thermal imaging technology to provide valuable information to homebuyers.